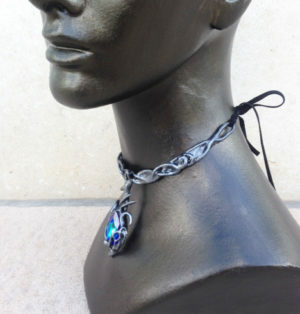 A new product – a drop pendant necklace to go with the filigree circlets! 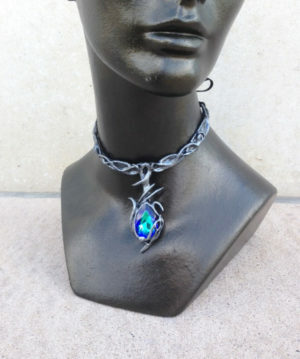 This one has silver intertwining lines in flattering curve that sits at the collar bone, with a billiant blue green teardrop crystal. 8.5″ long, plus ties. One size fits most. Ties at the back. 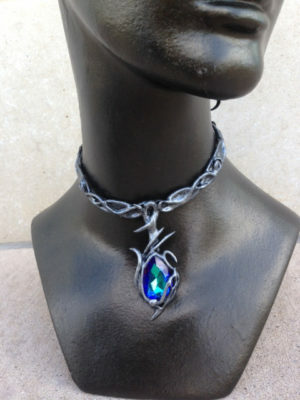 Made of rubber, fiber and acrylic, except for the crystal. Water resistant.